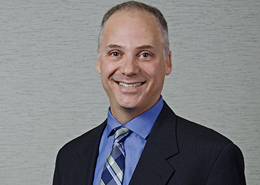 Scott Locke is an experienced attorney who practices intellectual property law. Scott counsels clients on the procurement, enforcement and licensing of patents, trademarks, copyrights and trade secrets, and he provides solo inventors, start-up businesses and well-established companies in diverse industries with strategies and tools for maximizing the return on their investment in their ingenuity, creativity and goodwill. Scott helps clients with developing intellectual property protection strategies; drafting, filing and prosecuting patent applications; registering of trademark and copyright rights; litigating patent, trademark and copyright cases; performing due diligence regarding intellectual property matters for potential acquisitions; drafting and negotiating intellectual property licenses; counseling clients on data privacy protection and developing trade secrets protection policies. He has counseled clients in industries on the cutting edge of many scientific disciplines, including beauty tech, biotechnology, pharmaceuticals, RNA synthesis, DNA synthesis, RNA interference, SNP technologies, CRISPR technologies, antibodies, genetics, fuel cells, automobile catalysts and eco-friendly technologies. He has also counseled clients in the coatings and pigments industry, the luxury goods industry, the cosmetics industry, the medical device industry, and the information technology industry, including internet-based technologies.